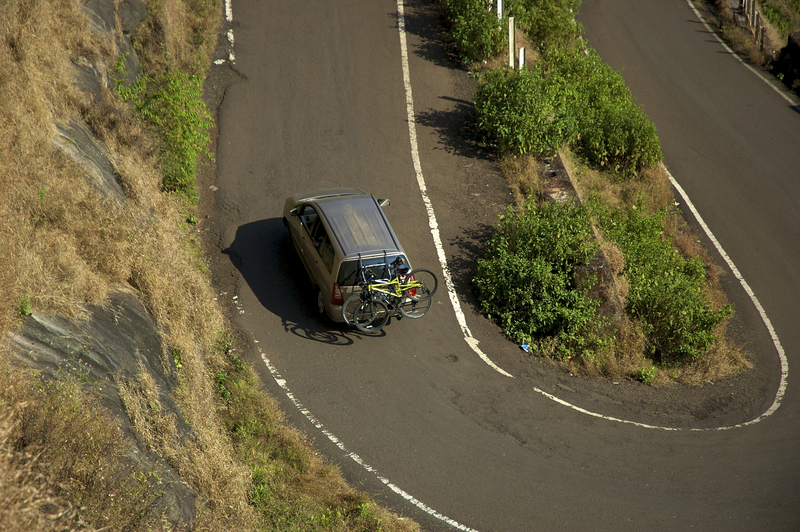 James posted this ride to Matheran, promising a tough one, and boy oh boy was that a well kept promise! 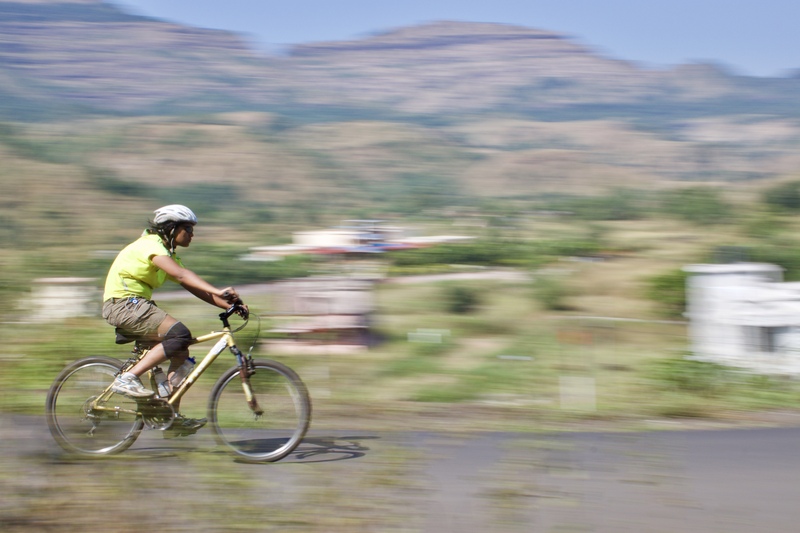 The ride from Panvel to Matheran is about 50 km, and the last 7 km, is the really tough uphill stretch. 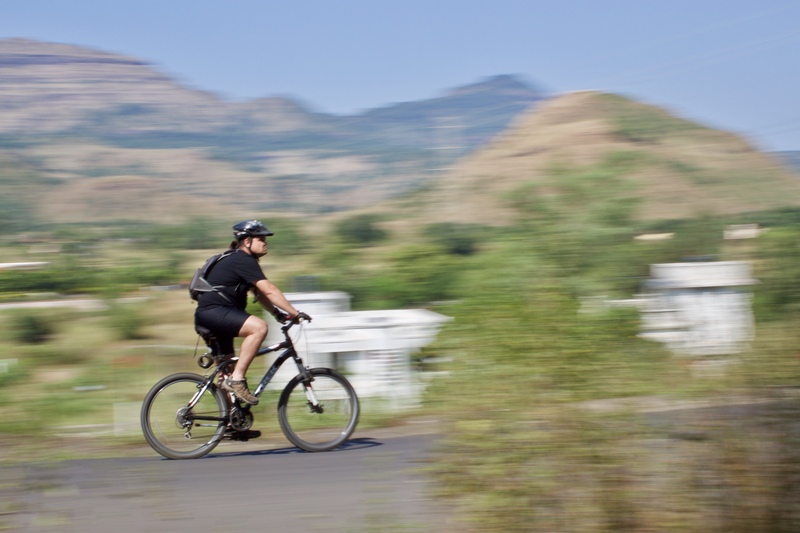 The plan was to take the bikes to Panvel by transport, racks, boot, roof, whatever means possible, and ride from Panvel to Matheran via the old Bombay – Pune Highway. Scheduled departure was for 5 AM. After some serious coordination and arrangements we ended up taking four cars. So to begin with the team was: James, Kevin and Amitabh in Kevin’s Innova, Mahesh and David in Mahesh’s car and Shyam, Krishanu, Dasrath, Malvika and me, in Shyam’s and Kriahanu’s cars. It was really unfortunate that Amitabh dropped out the night before due to personal reasons, or he would have really enjoyed it, being the mountain rat that he is! We started off late….severe traffic en route due to two trucks colliding. We found a few more riders waiting for us at McDonalds, Abhishek, Mrinal, and M Nayak, who had read about the event posted by James. 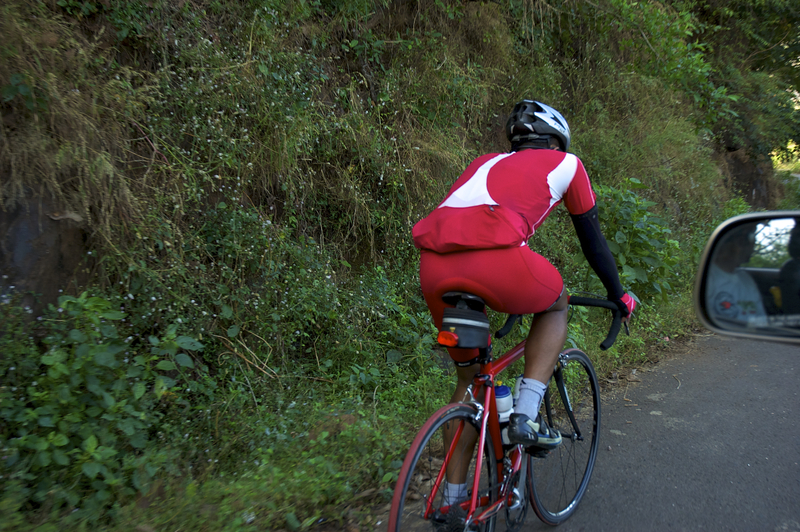 From our team, Shyam was the new kid on the block, having bought a new Giant from Thailand and keen to put her through the paces. Bikes are assembled (all full Mountain Bikes and Hybrids), and we are all set for the kick-off picture. L-R: M Nayak, Malvika, Abhishek, Shyam, Mrinal, Krishanu, Mahesh, Your’s Truly, James, Dasrath, Kevin, David. We started off at about 6 AM. Kevin as always set the brisk pace with his runaway sprint. I was determined to keep pace with Kevin, and so I following him, however, he’s a very hard act to follow, and each time I “almost” caught up (meaning seeing his flashing tail light), he would shoot off again. But it was great just being able to keep him in sight! We had two support cars following us, and we got a call saying that one of us was down, it turned out to be Dasrath. It was pitch black, with oncoming headlights, so visibility was really bad, coupled of course, with the usual uneven roads, rubble, and the usual road hazards, and Dasrath was the victim. So we stop and and soon the others catch up with us, as does the support car carrying Dasrath. He took a fall, and I looked at his shoulder, which was swollen something mean, and I go oh crap, that’s a broken or then severely dislocated or maybe its the collar bone. Something prompted me the previous night to ask Krishanu to carry some heavy pain killers, and at this time that is what Dasrath needed. So we turn him around in a support car to the hospital, and keep tabs on him through the day. The jury is out, at first it was broken, then it was dislocated, and now it seems that he may not have a broken shoulder at all, but he’s out of commission for a couple of weeks if not more. Tough guy though, managed to grin through the pain, and was feeling very bad that he would not be able to do the assault on Matheran! Another time Dasrath, we promise you. 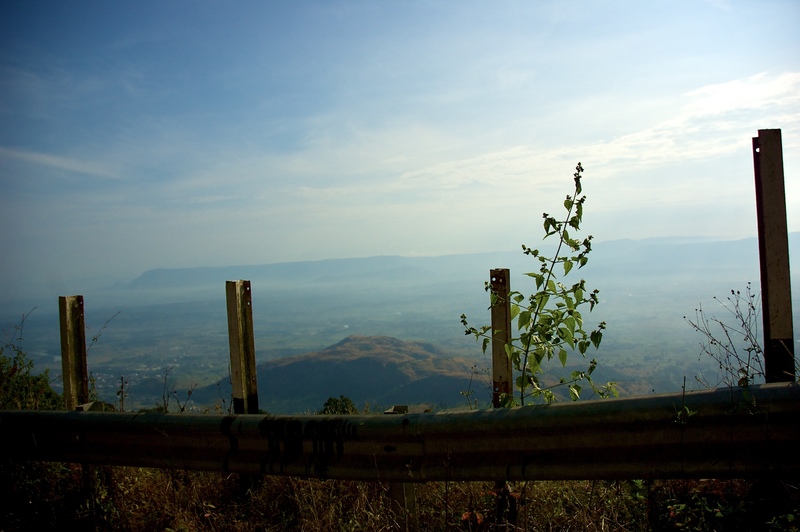 We were almost at the point where you turn off from the Highway and head towards Karjat, and so we kept on. The slight incline provided no real challenge, however the road was bad. As we progress when witnessed a beautiful sight, with the mist and fog rolling down the hills. Malvika, not wanting to break her rhythm, has gone ahead and the rest of the pack and we follow. 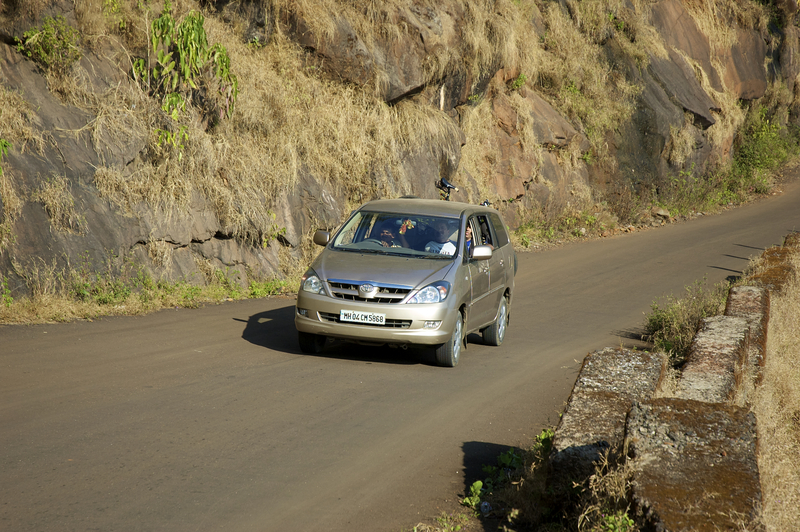 We arrive at the junction where the straight option takes you to Bhimashankar, and the left option to Matheran. 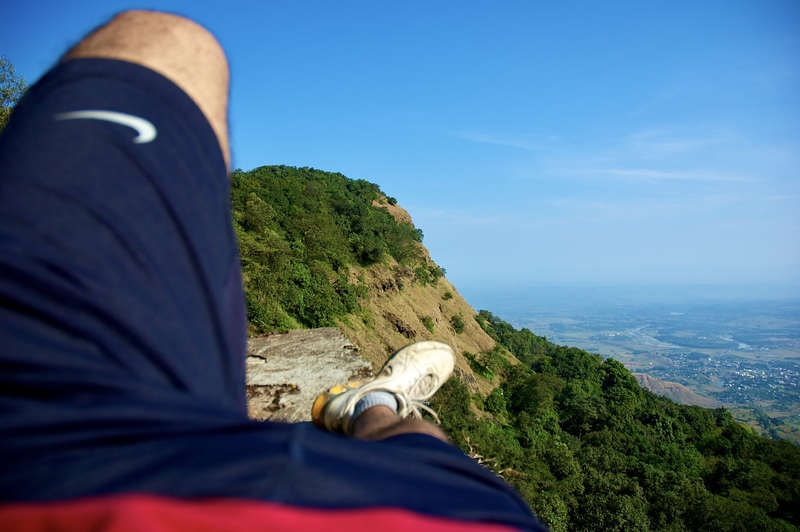 Tried calling Malvika, as I wanted to make sure that she didn’t miss the turnoff, and to our relief, we found her all relaxed waiting at the point where we would begin our ascent to Matheran. Looking up we could see that it was a long way up, but little did we know just how steep the incline is, none of us having done it before. As so I started off first, and I’m doing fine for the first kilometer or two, and then David and Mrinal, just go past at an unbelievable rate of ascent. What do these guys eat?!!!! Then these two guys in Red and one in Blue come out of nowhere, and sail past. By now the road is getting really steep, and we’ve hit the hairpin bends, and in the distance I see the Red and Blue duo resting…. We introduce ourselves and it seems that they read about the event and decided that they would make the attempt as well. The guys are Kaushik and Prabhuda. Now I find Kevin coming up close and soon he’s past me as well. Its way up there! Our readings tell us 600+ meters above sea level. 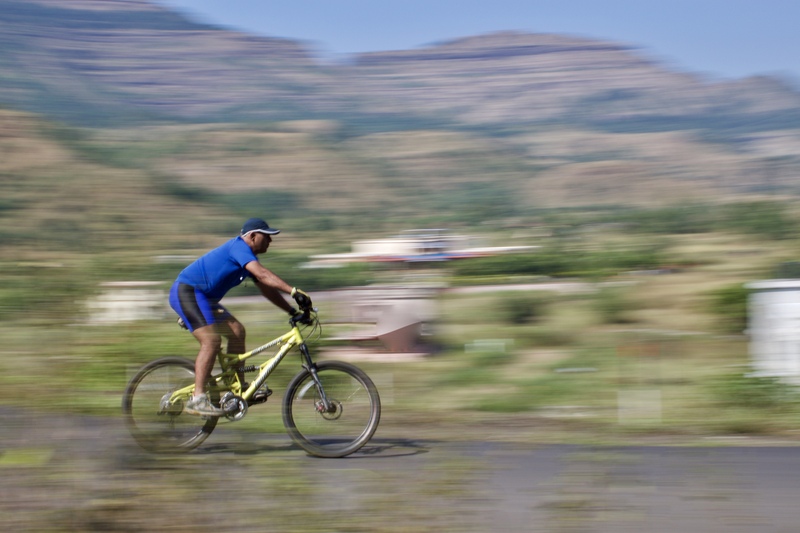 I am about halfway through, only I didn’t know it, and I see Krishanu, Shyam and Mahesh sailing past in the support vehicle, and they promise to send it back for me should I need it. At that point I was struggling, yet I thought I’d make it. I keep on and bump into Abhishek, Kaushik, Prabhuda, and Kevin at varying points of their ascent, then they’re all ahead and I’m going really slow now. The sun is up and the heat is getting to me, sapping any energy I have left. James comes along in the support car, and I give in, and hop in as well. I shouldn’t have, I was three-quarters of the way there, with only two more of those dammnnn hairpins to go! I was kicking myself for giving in. So my assault will have to wait another day, as it will wait for me and the others. 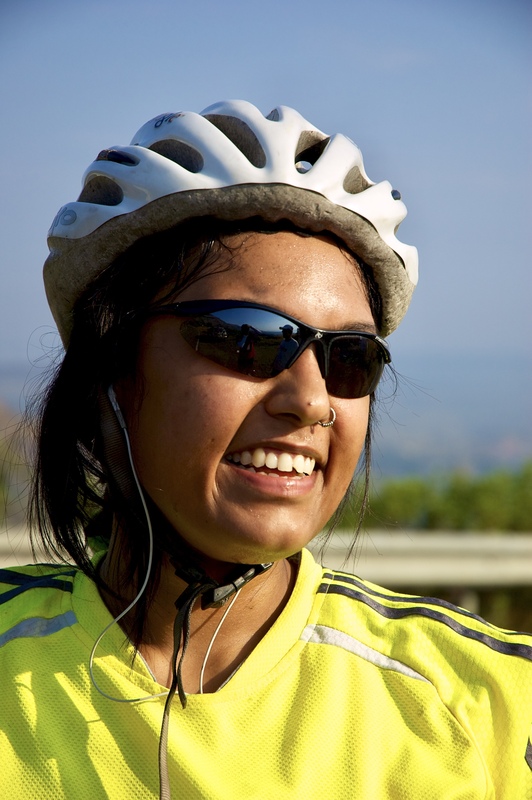 We ask about Malvika who has refused to hop into the support vehicle, and walks up the last couple of turns! I’ve met very few girls with such determination! Great going Malvika. We huddle for a group picture, and some of us are eager to take on the down hill, which will be really exciting and at the same time very dangerous. One small mistake, and we will tip over or then just shoot off the road and down the ststeepeel hills. There are a couple of really bad spots, and with the rail tracks crossing the road at a diagonal, its a sure show stopper. About half way down, we stop to cool of our rims and brakes, which are red hot now due to constant braking to slow our descent. We make it a picture opportunity, but it was a good thing too. James has noticed a wobble in his front wheel, and David and I take a look, and it urns out, that its not just a care of tightening the quick release. Its a possible bearing problem. 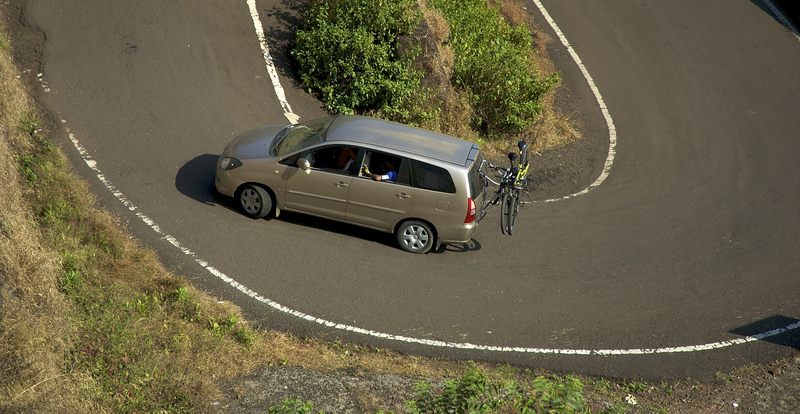 And better safe than sorry, we advise James to pack it in, and he’s in the support car. Very unfortunate! There was no untoward incident this time, and Kaushik, Prabhuda, Mrinal, David, Kevin, Krishanu, Malvika and I are all down. We all are ravenously hungry now, and the poor stall owner, runs out of the delicious batata wadas and misal pav, that we’re devouring. Downhill Done – Let’s Get Some Food. In about half and hour we’re off again. 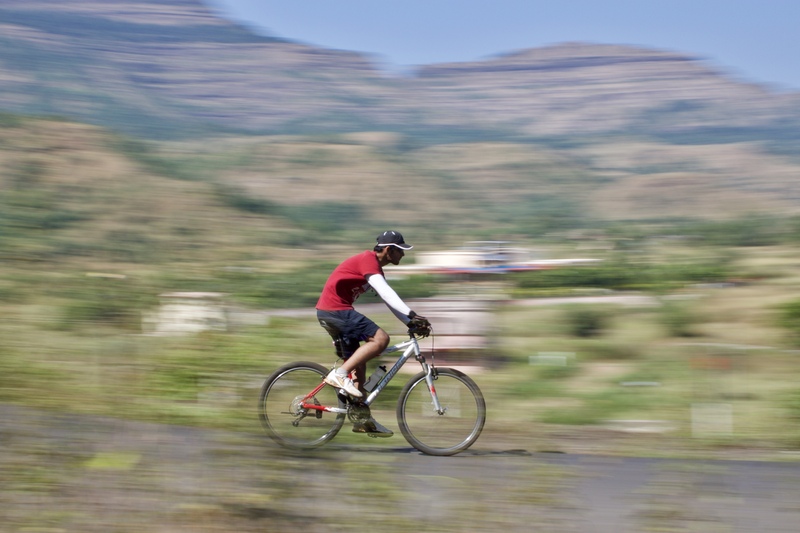 Kevin, David, Kaushik, Prabhuda, Mrinal, Malvika, Abhishek and I decide to ride as far as we can until the support shuttles can come and get us. Its really too hot to ride and we take the easy option. I arrive at the Karjat junction and see this Watermelon cart, and it seems like a great idea to partake. I flag down Abhishek and Malvika and they succumb too! We then find this “family restaurant” and stay put in the shade, until Shyam and Kriahanu, our designated shuttles come and get us. The bikes are loaded and tied down, and we switch cars. Shyam and Krishanu goig off straight home to Bandra, and I will drop Abhishek and Malvika before heading home myself. I finally got home at 5.30 PM, and its been a long day for us all. The analysis? It was a great ride, very challenging going up the 7 odd km, but the down hill was sooo short lived. It probably took us just 15 minutes, whereas the uphill was over an hour, the fastest being 54 minutes which was David, that too on a MTB! The MTB’s are aout three times the weight of a road bike, but somehow I’m hooked to MTB’s. 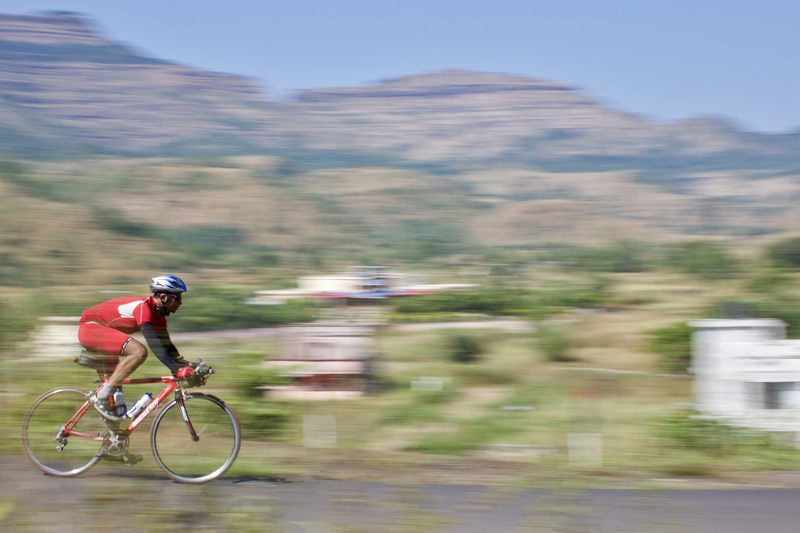 But maybe for challenges such as these, a road bike is more suited, but we’ll see. 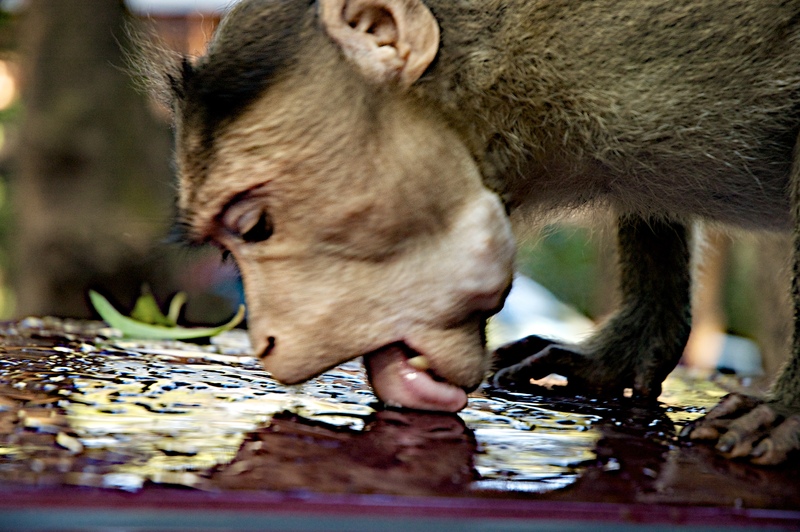 So until next time, Matheran, I will have my revenge, as I’m sure some of us will!!!! Next Post: So Now You Can Ride. What next?